A total, holistic approach to beauty and wellbeing, Weleda has led the way to cleaner beauty since 1921. Weleda has led the way in cleaner beauty since 1921. For us, it has always been far more than a mandate to ensure products are free-from all ‘nasties’ such as artificial additives or synthetic fragrances and preservatives, GMO ingredients, mineral oils, silicones and petroleum derivatives. It’s a total, holistic approach to beauty and wellbeing, understanding the connection between nature and human beings and taking the mind, body and spirit into consideration because beauty is more than skin deep. Towards the end of 2017 Jayn Sterland, MD of Weleda UK, claimed the top spot in the ‘Who’s Who in Natural Beauty’ list of industry movers and shakers – for the second year running. As an advocate for cleaner beauty, Jayn is on a mission to clean up the beauty industry by eliminating greenwashing and encouraging the industry to be socially responsible for what they put on the shelf. Clean beauty, or to be more accurate we should say ‘cleaner’ beauty, has primarily come about because of the ever-increasing rates of skin disorders we are facing, says Jayn. “Today in the UK, we have the highest incidence of eczema and dermatitis than we have ever had – affecting one in four babies and one in twenty adults. Cleaner beauty can easily be incorporated into daily life, by simply replacing each conventional cosmetic product with a natural and organic alternative when you run out. Start with the products you use most of – your toothpaste, shampoo, deodorant. Familiarise yourself with the ingredient names that you want to avoid. 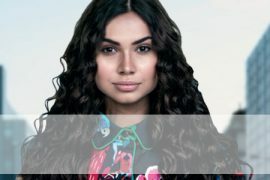 Websites such as the Women’s Environmental Network and EWG’s Skin Deep are useful references. Or try apps such as SkinNinja or ThinkDirty to identify common culprits with a quick product check. You could begin by simply deciding to avoid a couple of particular ingredients that you have concerns about. For instance, if you are pregnant, it may be that you are keen to reduce chemicals such as triclosan or parabens (EDCs). At bath time, in the shower, even when cleaning your teeth. Detergents such as SLES are not skin-friendly and foaming agents do not make you any cleaner. 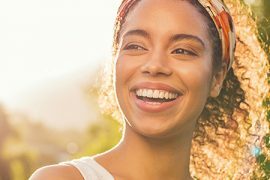 They are known to cause skin irritation for many of us (research shows that one in two under 35-year olds have a skin sensitivity, ranging from mild dermatitis through to severe eczema). Weleda uses plant-based cleansers such as Disodium Cocoyl Glutamate, which is made from coconut oil and plant sugars, is biodegradable and creates a low foaming sudsy lather. This is important if skin has become particularly sensitised or you are stressed. Certified natural baby products are a good option. For example, our top selling product is our Weleda Baby Calendula Shampoo & Body Wash and it’s equally popular with adults who want to reduce the number of products they are using. This is so that you are exposed to fewer ingredients. 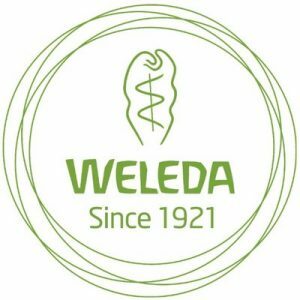 Weleda’s Skin Food is my own ‘miracle cream’ – always in my pocket, bag, car and by my bedside. You can use it anywhere – for dry skin, hands, feet, face. I have even been known to use it on my hair! A classic product formulated in 1926, it uses just five simple natural ingredients and it works. It’s Victoria Beckham’s favourite Weleda product too so I’m in good company. Look out for a respected natural or organic certification standard’s logo on the pack. This means you can know at a glance that the product won’t contain potentially troublesome ingredients that you want to avoid. For example, every single Weleda cosmetic bears the NATRUE seal, meaning they are all verified cruelty-free. Some of our products do contain animal products and their derivates like beeswax, lanolin, goat milk and lactose, as well as honey in the elixirs which is why we do not say we are a Vegan company. However, there are more than 60 products in Weleda’s range that are suitable for vegans. 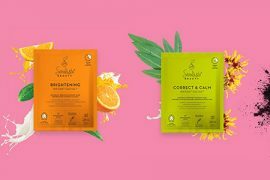 Find out more information about Weleda Vegan products here.